Our vacuum ovens are purpose-built to perform degassing / purging of light hydrocarbon solvents. Using the technique of cold boiling, the oven applies a gentle heat under reduced pressure conditions to expedite solvent degassing while simultaneously preserving color, aroma, and overall solute quality. 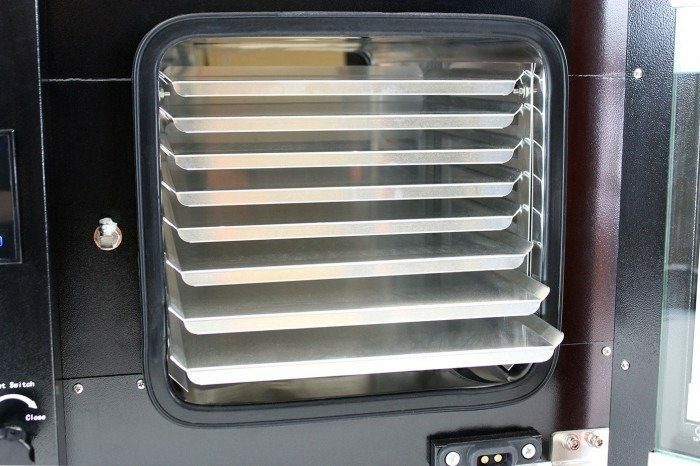 We’ve applied our extensive vacuum expertise and industry experience to produce a series of ovens designed exactly for your needs: low consumption, high-throughput, and reliable operation. This is the Best Value Vacs MINI Extraction System. 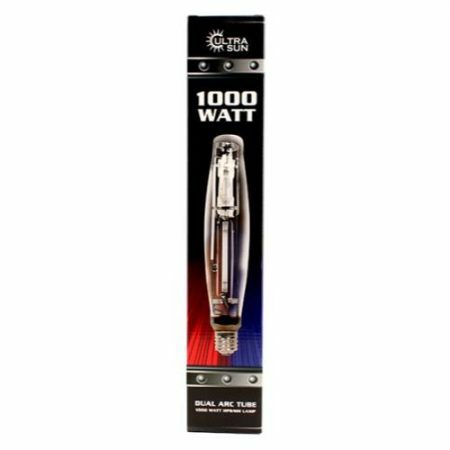 It is an excellent option for small personal runs or test runs and is the perfect size for a table top. 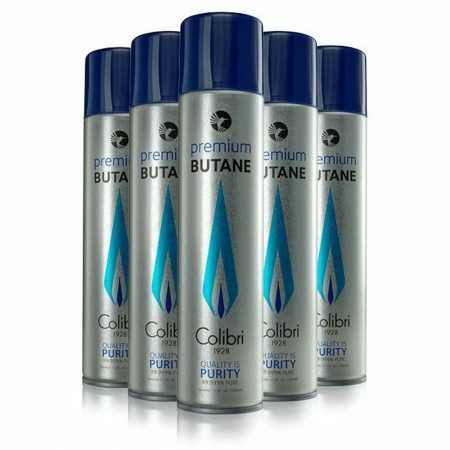 Colibri Premium Butane is the cleanest butane available.Our butane is produced to the exacting standards required by high-performance jet-flame lighters—a technology Colibri introduced to the world over 35 years ago. 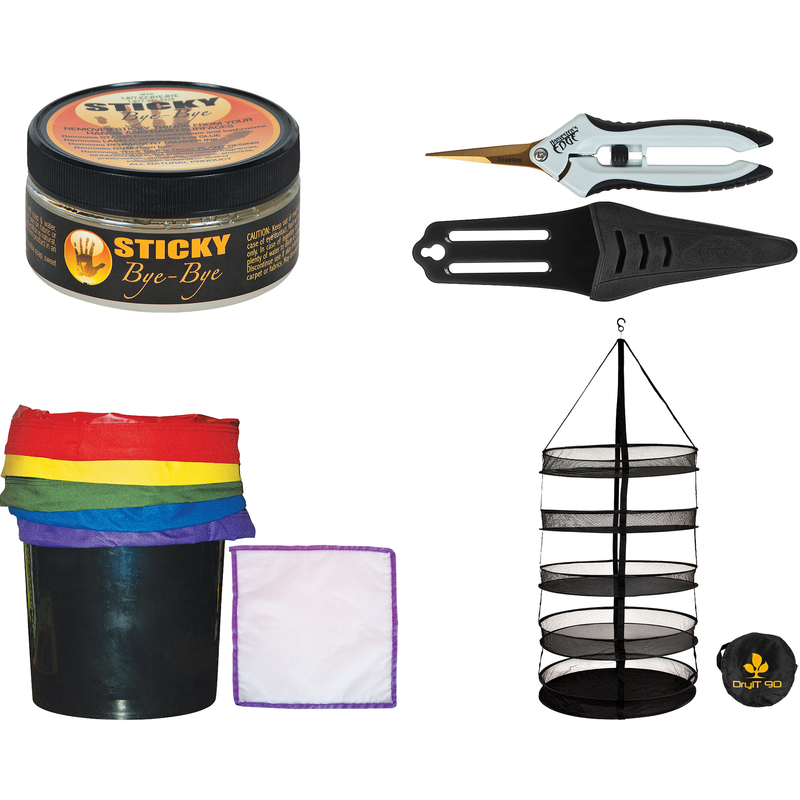 This unit is intended for LEGAL purposes only, to be used in accordance with local laws and ordinances. 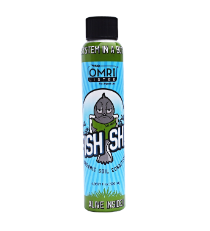 Use only in well-ventilated areas! Backed by a 2 Year Parts and Labor Warranty. 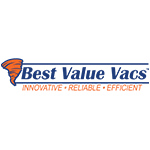 At Best Value Vacs, we make every effort to provide oven performance capabilities in a standardized format. We’re not interested in juking our stats to make a sale. Instead, our goal is to provide quality, transparent production capabilities that meet the demands of our professional customers. Temperature Uniformity: within 7% of the temperature setpoint. Heat-Up Time: 45 minutes to preheat. Optimal saturation reached in 120 minutes, over 30 minutes faster than competitors. 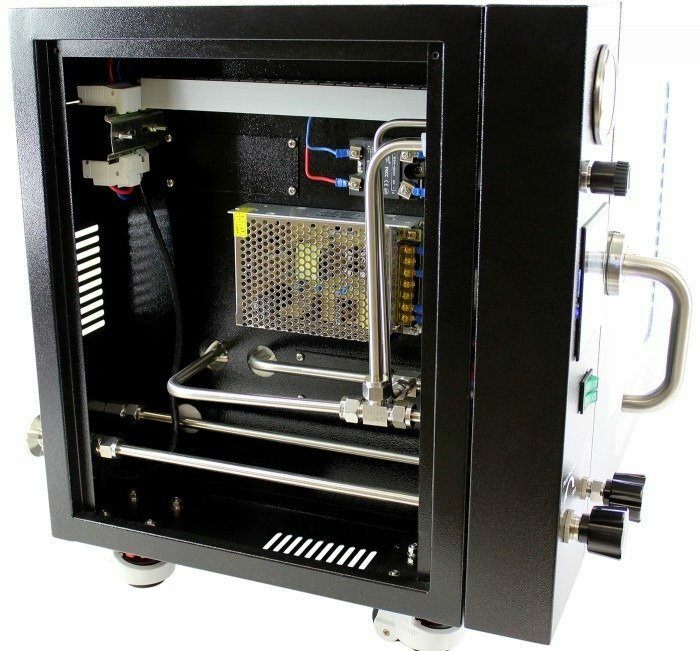 Time to Vacuum: 4 minutes to 29″Hg using our VE Series 4cfm Dual Stage Vacuum Pump. Vacuum Hold: guaranteed to lose less than 1″Hg (25.4 torr) in 24 hours. 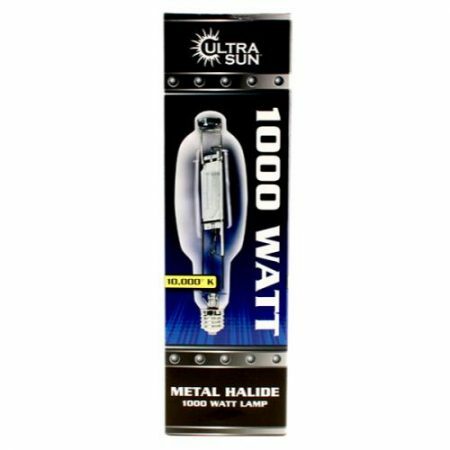 UL UL 61010 certification coming soon! Best Value Vacs has bundled our recommended vacuum chamber, vacuum pump, and complete extraction system to offer customers the most cost-effective solution possible. 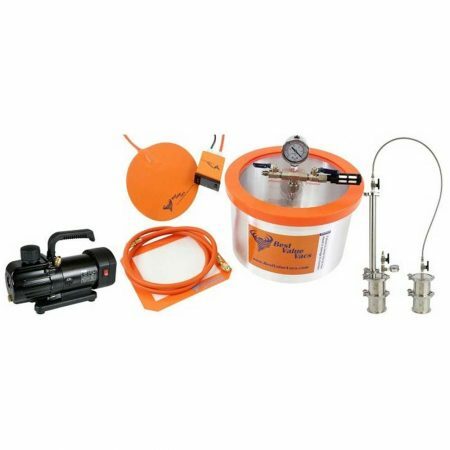 The Mini-XL Closed Loop Extractor Starter Kit is a step up from the closed column extractor starter kit. 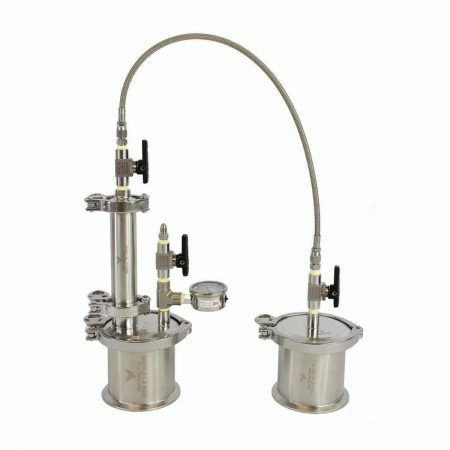 The Mini-XL Closed Loop Extractor is a tabletop version of a closed loop extraction system that allows users to run personal or test-sized extractions in a short amount of time. 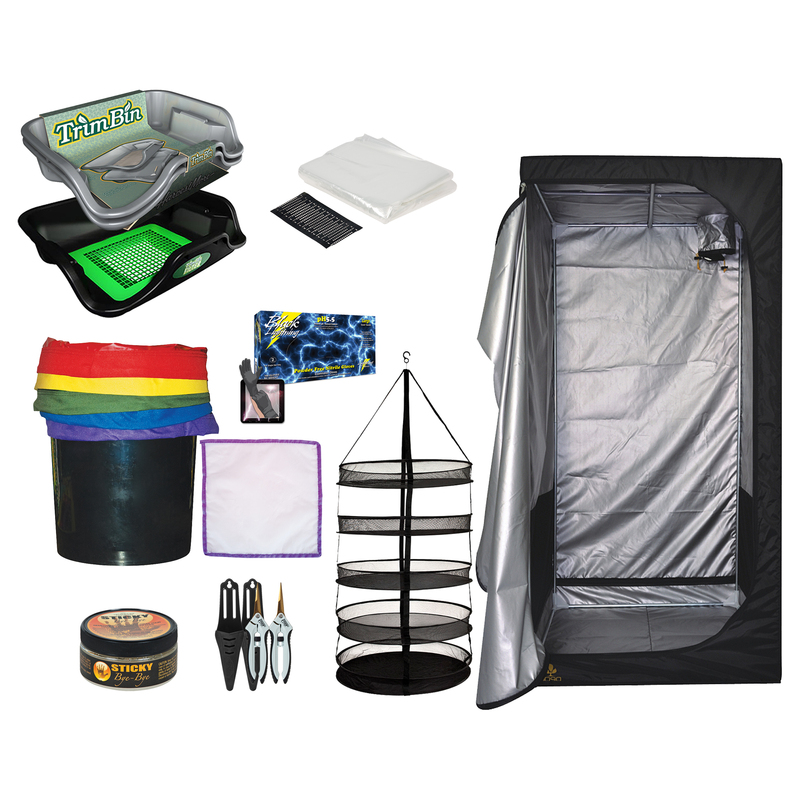 The system also offers users the chance of recovering around 95% of their solvent. 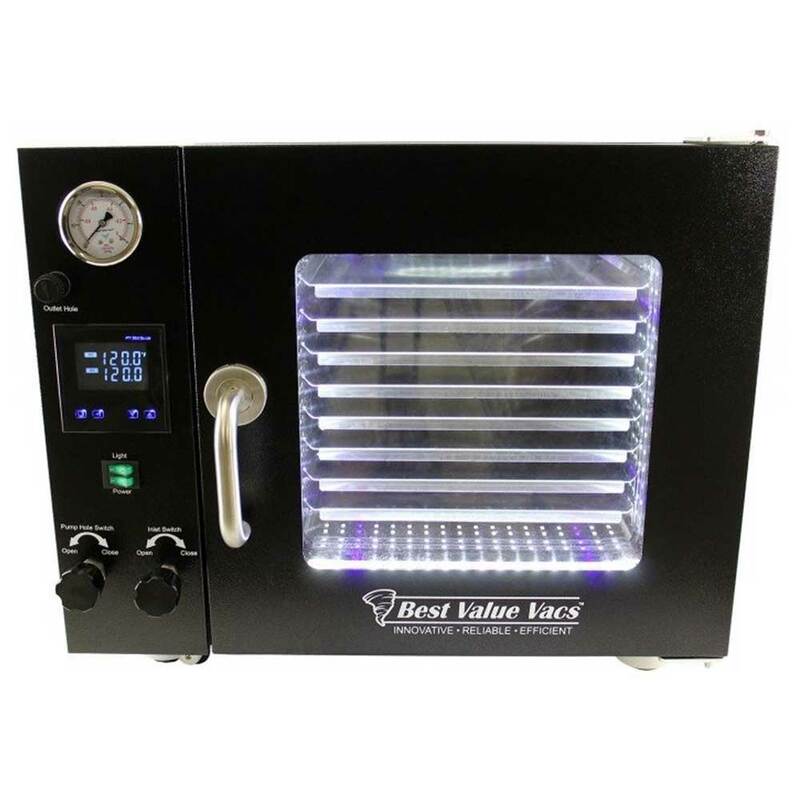 Not only does this save a considerable amount of money, but it’s also safer for the user performing botanical oil extractions because the entire extraction process is in a closed-loop environment. 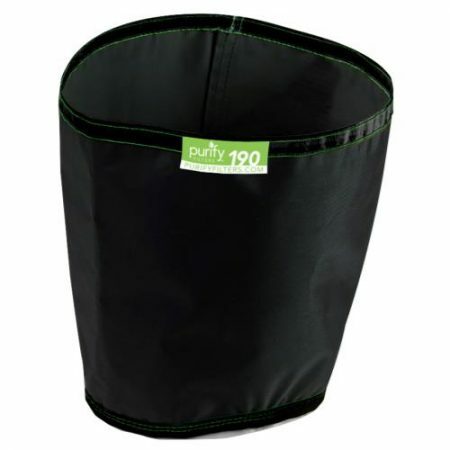 The Purify Filters are durable and reusable, with 90 and 190 micron filter bags that make straining your extraction a breeze. Allowing the liquid to effortlessly pass through while capturing the sediment. Makes straining your infusion a breeze.